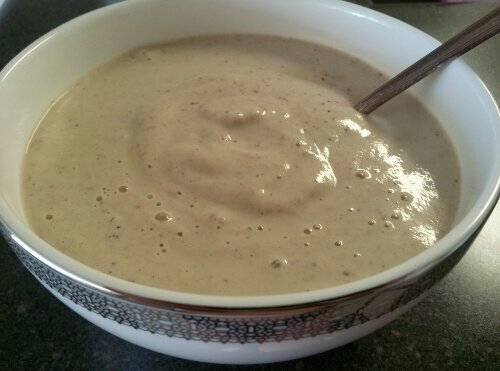 Day 2 started out much like Day 1, with the buckwheat groat porridge, though this time I ran it in the Vitamix until it was warm. 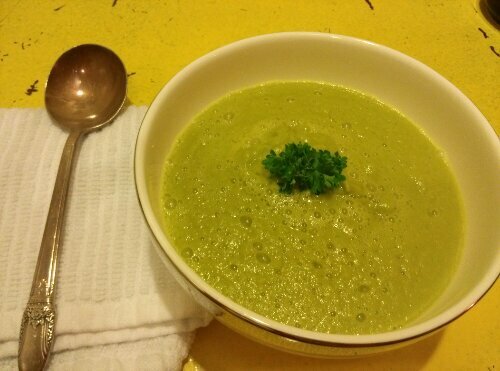 For lunch I made us some celery soup. You can see most of the ingredients above! It was delicious and the avocado kept us full for a while. Dinner came from Matthew Kinney’s Everyday Raw Express. 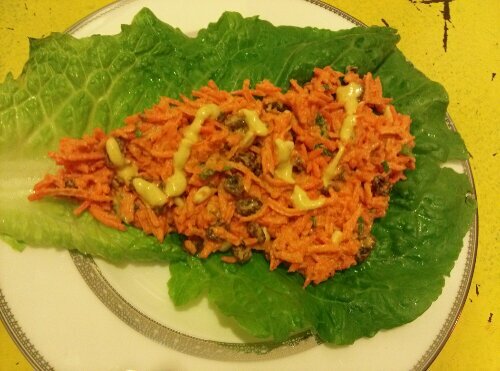 I made the Curried Carrot Slaw, Endive, Pine Nuts, Golden Raisins. Only minus the endive, because it is too expensive, with regular raisins, and with ALMONDS instead of cashews for the sauce because Thomas is allergic to cashews. (I do this all the time now as a straight substitute and have had no problems. I’m going to try to make some artisan almond cheese one of these days based off of a cashew recipe.) I served it on romaine leaves as incredibly fresh and tasty burritos. The pine nuts gave this the necessary filling ingredient. 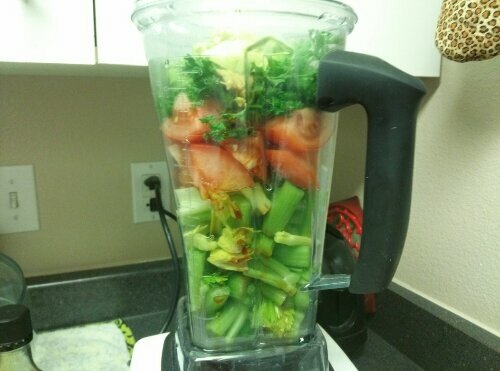 The sauce on this combined with the mint was just so flavorful. For dessert, I made this apple cobbler, very similarly to the way I made the pear blackberry one the day previously. 1. Place apples in a 2-3 quart dish. Drizzle with lightly with agave and toss with spices until lightly coated. 2. 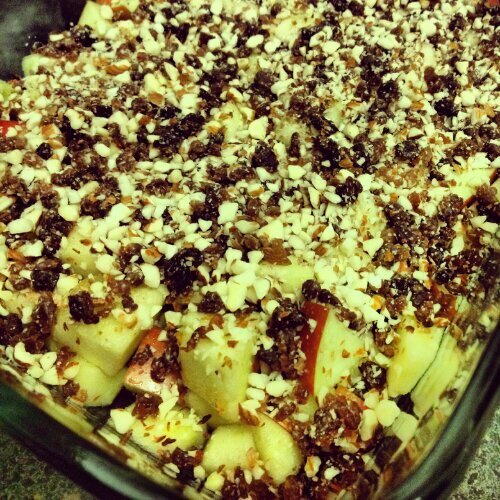 For the topping, add almonds, raisins, and salt to the small bowl of a food processor and pulse until crumbly. Sprinkle on top of fruit. You really love to cook, don’t you! It all looks amazing!